Weather: fresh. Not cold and not hot. Ideal running weather. Before I went I wasn’t feeling it. I’ve been not running as much lately because of bad mood and anxiety. Which is counterproductive because running will help with those things. I stayed up til 2am last night watching tv. I’ve been watching a lot of tv lately. This is a bit of a highlighter that things aren’t quite right. I stayed moping around the house and sleeping until 4pm at which point I said to myself I neeeded to kick myself out the door and that despite my sluggishness, headache, sloth feelings and complete lack of motivatuon to do anything but nope that I would feel better. I was quite anxious bc I’ve not been running lately as much. Once I was out the door however it helped. 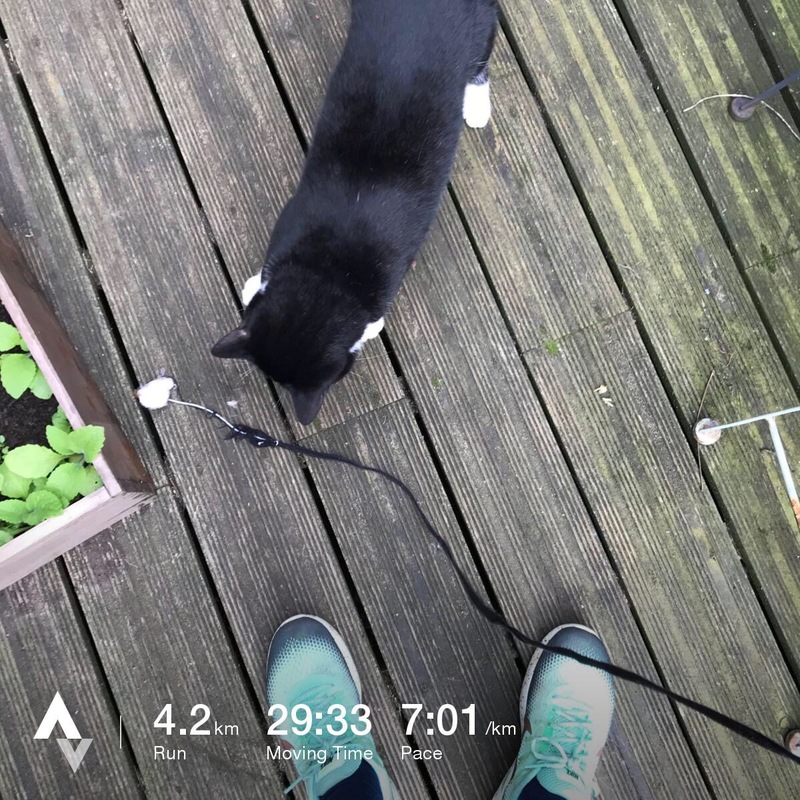 I felt relaxed whilst I was running as it was an easy pace for 30 minutes. I went up to one tree hill although after some incline I started to fast walk it because it was very steep. Once up there I enjoyed the view and stood on the benches to look out over London. The feeling of insignificance really helps me to calm down sometimes. I get this when I think about the universe and sometimes when I look over London and think of how I’m one person in this massive city. It’s quite soothing in an odd way. Then I ran down and picked up some food for dinner at Sainsbury’s. I feel more awake and more relaxed since going out – and this is something I need to keep reminding myself of! 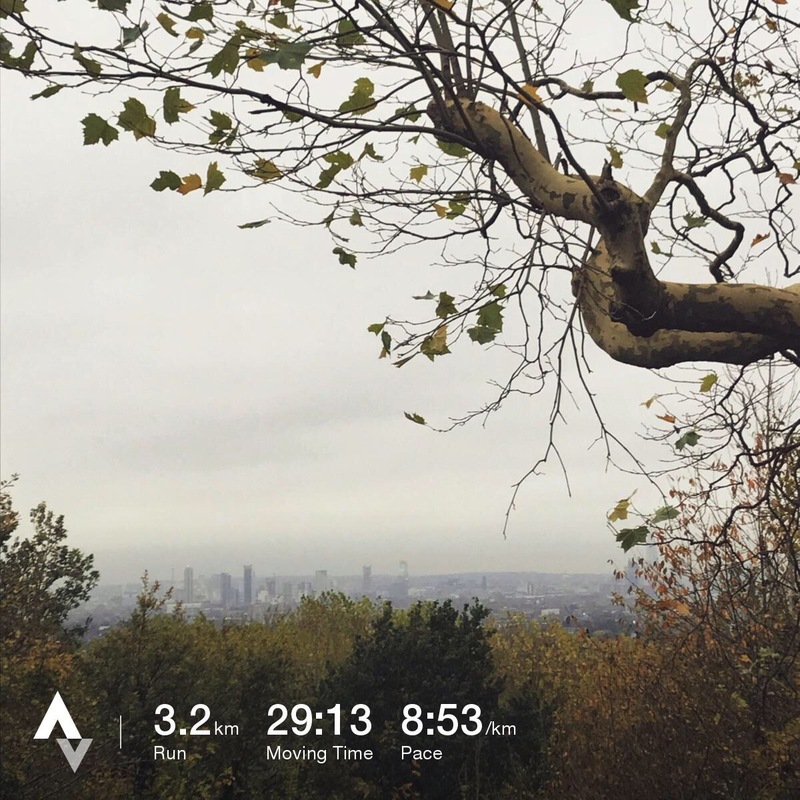 I did this run in the morning, although remembered why the ‘lay your k it out the night before’ trick is so often repeated. I must have spent 30 minutes rummaging around for the right kit for this and that – especially as I was taking my bag for an extra layer. I ran to the house where I am currently cat sitting. I have grossly underestimated how much distance I can cover in a few minutes now. This shows I have gotten stronger rand better even if I am in a bit of the training plateau that I am currently in. I didn’t write straight away after running this time so I don’t remember how I felt before and after. Second lesson in a second paragraph: write our running diary entry straight away.